Specialized Saddles in stock Eurolight Saddles are available in black with black leather seat and brown with brown leather seat, sizes 15, 16 or 17 (add $55). The saddle comes with Standard Billet Straps, Standard (5’3″ – 6’1″) Leathers, Stainless Steel Dee Ring Hardware & Crupper Ring. 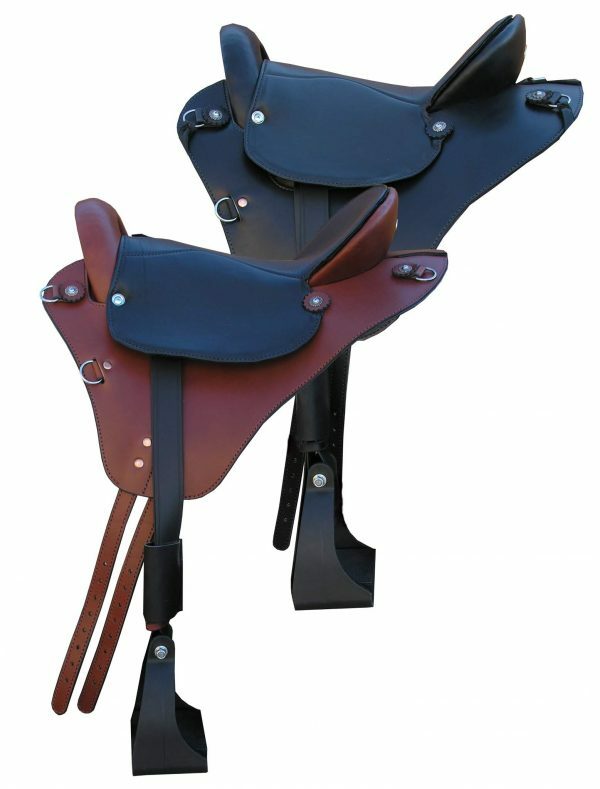 Includes a set of standard black nylon endurance stirrups, set of fitting cushions and fitting inserts.